Seth Rogen’s Hilarity for Charity Trailer Released! The trailer for Seth Rogen’s (The Disaster Artist, Steve Jobs) Netflix comedy special, Hilarity for Charity, has been released, featuring an all-star lineup with can’t miss stand-ups, sketches, and musical performances. Check out the Hilary for Charity trailer now in the player below! 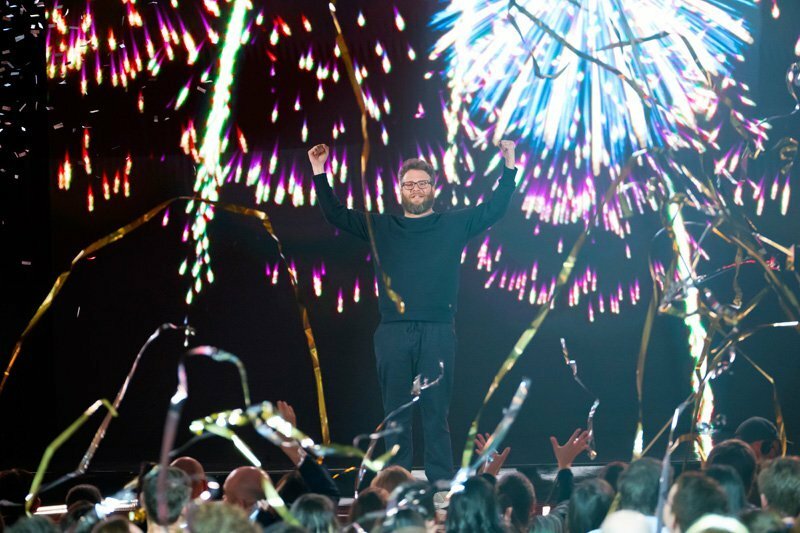 In Seth Rogen’s Hilarity for Charity, Rogen and friends combine stand-up, sketches, and music into an outrageous comedy special that could only come from the mind of Seth. The all-star guest lineup includes Tiffany Haddish, Sarah Silverman, Michelle Wolf, John Mulaney, Michael Che, David Chang, Ike Barinholtz, Chelsea Peretti, Kumail Nanjiani, Jon Lovitz, Jeff Goldblum, Sacha Baron Cohen, Nick Kroll, Post Malone, Chris Hardwick, and Craig Robinson & The Nasty Delicious all-star. This marks the sixth annual Hilarity for Charity event put together by Seth and Lauren Rogen. The event was filmed Saturday, March 24 at The Hollywood Palladium and is the first time that it will be broadcast. In 2012, Seth Rogen and Lauren Miller Rogen founded Hilarity for Charity as a resource for the millennial generation, to help bridge the gap in understanding the landscape of Alzheimer’s disease. Using this unique approach, HFC aims to significantly improve outcomes for all family members contending with Alzheimer’s disease by 2020. Seth Rogen’s Hilarity for Charity will debut on Netflix on April 6, 2018. The post Seth Rogen’s Hilarity for Charity Trailer Released! appeared first on ComingSoon.net.